September is National Preparedness Month, a time to remind ourselves that the best way to protect ourselves and our families from a natural disaster is through storm preparation. For pool owners, heavy storms can cause many complications that range from potentially expensive to dangerous. 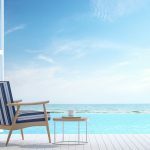 In these situations, pool owners can protect their pool and equipment from damage, bacteria and algae growth by taking a few preventative measures. 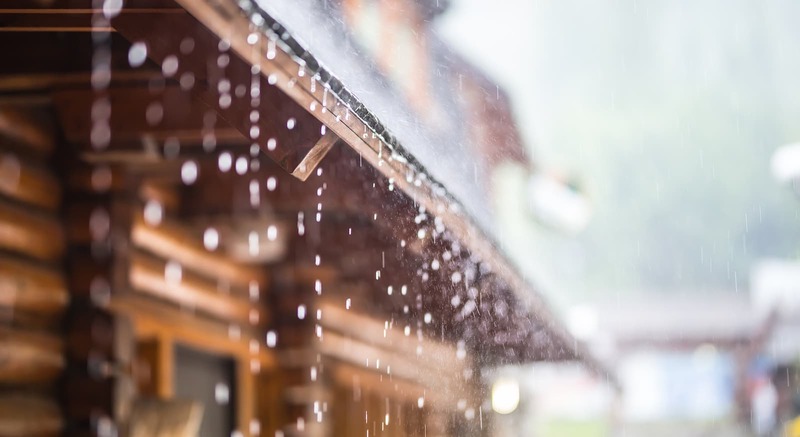 A common storm preparation mistake that people make is draining the water of their pool in hopes that it will not overflow or become contaminated in a storm. Surprisingly, you are worse off if you drain the pool. 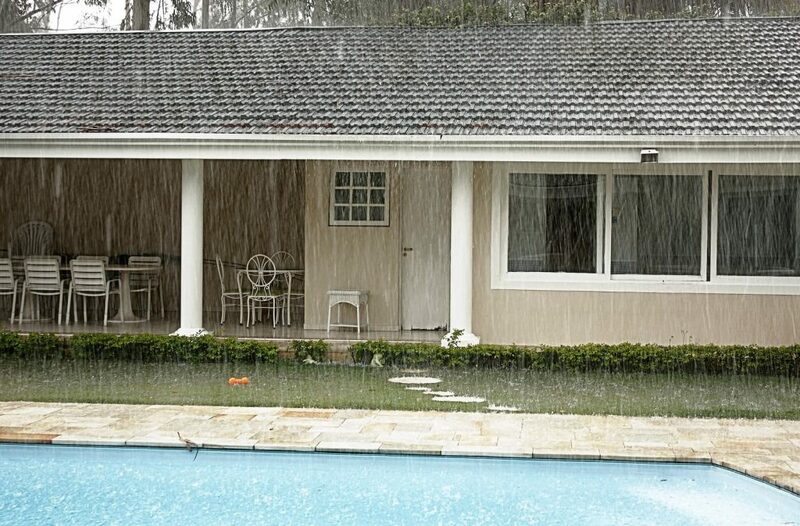 Without water, the pool walls and floor are left unprotected from debris that may fall in during a storm. The water can soften the blow of anything that comes flying into the pool. Also, when the water table in an area rises dramatically, a pool can pop out of the ground and float on the higher water level. The weight of the water in the pool can hold it in place in this scenario. Although your pool may become contaminated from debris and rainwater after a heavy storm, the damage done won’t compare to a completely destroyed pool. You never want to drain any open pool below the skimmer, a pool with a pool liner, or a pool in an area of high water tables. In these instances, you can burn out a pump motor, float a pool liner, or pop a pool. Another mistake pool owners make during heavy storm preparation is using a pool cover as protection. Just like draining pool water, using a pool cover during a heavy storm would seem like a good choice. In reality, you are opening yourself up to more issues. The strong winds of a heavy storm can lift the cover right off of the pool, creating a flying projectile that could damage property or cause an injury. Also, debris could damage the pool cover, creating an unnecessary need for repair or replacement. Finally, if a pool cover becomes laden with rain water and debris, it can be very difficult to remove from the pool. If you have a liner with a safety cover, you may wish to secure your safety cover properly as the same items that can damage a cover can also damage the liner. Often time, repair to a safety cover is more economical than repair or replacement to a damaged pool liner. It’s important that you clean up the area around your pool for storm preparation. Remove any toys, furniture, and equipment from the pool’s vicinity and store them away in a secure location. 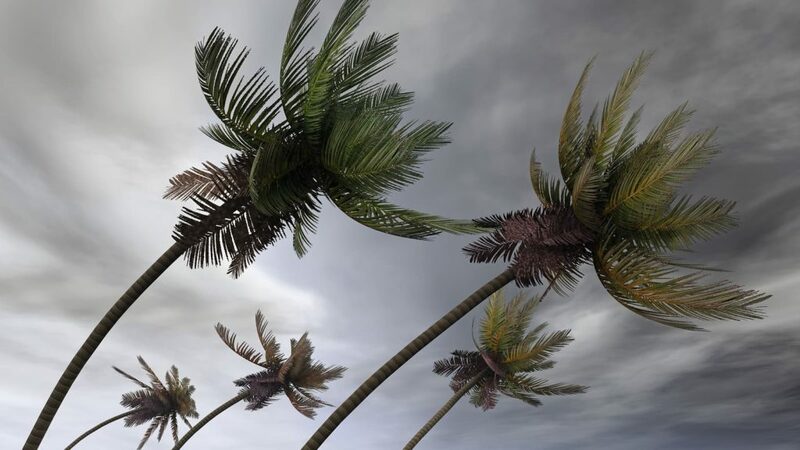 These items could get picked up by heavy winds and cause property damage or injuries. During a heavy storm, it is quite common that branches and limbs from trees and bushes will rip off and cause damage or injuries. This tip extends beyond pool owners, but doing some trimming before a big storm could save your pool and property from damage. During storm preparation, make sure to turn off the power to all of your pool equipment. This includes the pump, filter, heater, motor, chlorinator, light fixtures and anything else that has electricity running to it. Rain and wind from a storm can create major electrical issues, either damaging the equipment or potentially causing an electrical fire. Make sure to cover all electrical equipment with a waterproof covering once you turn off the power. Looking to learn more about pool operation? Pool Operation Management offers award-winning CPO® certification courses to give you the most comprehensive education in everything about pool operation. Over a two-day course or during online training, our experienced professionals will help you get certified and acquire real-world knowledge to aid you in your career in pool operation.